Barcelona will Philippe Coutinho if they receive an offer of £138million (€150m), according to the latest reports from Spain. Coutinho is only a year into his contract at the Camp Nou following his £142million move from Liverpool last January, but there are already rumours he could be heading back to England – with Manchester United linked. Liverpool have also been mentioned as suitors to re-sign their former star, amid claims that Barca will look to sell the Brazilian back to the Reds for a fee of €100m (£88m). Spanish outlet Don Balon on Wednesday stated Coutinho has been the subject of a €100m offer from Chelsea this month as they look to replace Eden Hazard, who is being tipped to sign for Real Madrid this summer. Meanwhile, Mundo Deportivo claimed that Barca boss Valderde wants to persist with Coutinho and the club will fight the urge to cut their losses – even if offered the chance to cut their losses on the Brazilian playmaker. However, Don Balon have offered a fresh update on Coutinho’s situation, claiming that they would indeed be willing to sell the former Inter Milan star if a €150m bid arrived. They claim that Paris Saint-Germain are currently the only club who are prepared to pay that amount, despite interest from the aforementioned Premier League trio. 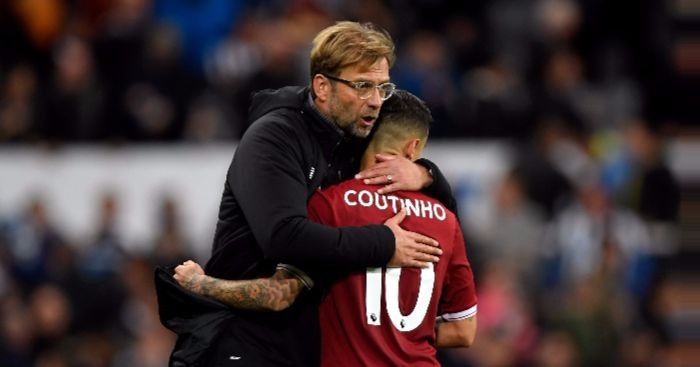 Liverpool manager Jurgen Klopp also had his say on Coutinho at the weekend, but was also convinced the star’s future very much remains with Barca. “That is something I don’t want to talk about. I would not say it is a potential transfer or a likely one,” Klopp told the Liverpool Echo. The post Fresh Coutinho twist as shock favourite emerges to seal €150m deal appeared first on teamtalk.com.